Mother Mary connects with a beautiful heart healing meditation! Available as an .MP3 angel message, or scroll down to read the message transcribed into text. Relax and listen to receive healing emotionally across the lines of time. You will be guided to release past pain and all that no longer serves to open your heart chakra to a new level with Divine Love. Access more of your personal power, and spiritual gifts through the power of Divine Love and Compassion to transform all areas of your life, bringing increased patience, well-being, bliss and understanding. The beautiful Divine Love broadcast from Mother Mary will purify and strengthen your foundation through love and self care, so that you can move forward into the blessings of new beginnings opening now. A Channeled Angel Message by Melanie set to the beautiful meditative music of Thaddeus channeled by Sanaya Roman. “Dearest one indeed I Mother Mary, am present with you in this now, opening my heart towards yours. Present indeed, with many nurturing and healing angels. And so as you allow yourself to relax at this present time, entering inward, you can absorb the unconditional love of the Divine that is broadcast all around you at this time. Breathe and relax as you go deeper within, for as you focus upon these words your heart receives healing from the Divine. Releasing past pain and sorrow and hardship, preparing you for entering into a new level of divine love as this new cycle begins again now. A foundation of self love and nurturing will carry you forward into experiencing love in many forms. Nurturing yourself, indeed, speaks to honoring your body as a temple of the Divine, treating your body with the utmost care and respect, listening to the intuitive guidance of your heart and your soul, which will urge you forward in taking excellent care of your physical vessel. For this is a foundationary move for you to continue to lift higher in spirit. For when your physical body is healthy, you are then able to find nurturing for your emotional body needs. You will find it easier to heal your mental body and to enter into a meditative state, without having to work through so many toxins and densities in your physical form. And so nurturing your physical body takes the form of what you ingest. You are incredibly supported now at this time by your guides and guardian angels, by the entire universe in the manifestation and the creation of your dreams. And so at this time as you focus inward, let yourself plant a seed of thought about what you are moving into in this new cycle, about what you would love to experience moving forward, and as counter-intuitive as it may seem, whatever it is your goal, your first stops are loving and nurturing and treating yourself with an increased level of care. Devotion for self, you see, is not selfish, and it is not vain. Love and compassion for self make it possible for you to love and be compassionate towards others. The love and nurturing and care you share with yourself is prerequisite for being able to overflow blessings of love, of abundance, of compassion, of all things good unto others in your life, into the collective consciousness, unto all. And so what you ingest and what you send out is clarified and uplifted with divine frequency at this time. I open my divine, higher heart filled with love and compassion towards you now. Let yourself receive this divine love as a heart healing for your physical heart, for your spiritual heart, for your divine heart; linking your heart and mind so that you are able to perceive and know and act in alignment with love, in alignment with what will serve you in moving forward on your path. With immense self love and care, you will have the energy needed to manifest and create your goals and your dreams. You will have the peace and the balance required to retain a perspective of compassion towards others in all situations. And indeed, your love for self builds and grows so that you are able to overflow and the love you give and share, the love that is all around, activates, uplifts you in vibration, attunes you to more of your personal power in spirit. More of your spiritual light, your gifts, more divine love, which holds the key to transforming your life in all areas. Improvement in all aspects, for yourself and for others. Divine love flows all around you now. Let it in, empowering your decision making, cleansing and healing your heart, uplifting and soothing your spirit, and preparing you now for a download of direct frequency from Divine of Divine love with the specific intent and purpose of soothing, balancing, and healing your emotional body, releasing past emotional pain and trauma from this life and lifetimes past, cleansing your slate, so to speak, to align you with the illuminated vision for your future, for your present self, healing your emotional state across the lines of time, past, present and future. Every aspect of yourself completely and fully receives the blessing of Divine love, the cleanse of Divine love, attuning you to Divine patience, well being, bliss, and understanding, pulling out or vacuuming out the past pain now. Let it go and your angels assist in releasing all that no longer serves. And now in year heart chakra center, cleansed, purified, and uplifted with direct frequency from the Divine, your emotions soothed and cleansed, your spirit activated and empowered with love so that your heart can now bloom, open wide, blossom like a rose before your mind’s eye, empowering you to treat yourself and others with compassion. For this vibration of compassionate love, of Divine love will keep you in alignment with your Divine blueprint, with moving forward on your path of growth into accomplishing your purpose, your mission, and creating much positive change in your life and in the greater field of All. There is so much support and love available to you from the realms of spirit when you open your heart, when you consciously choose to tune in, to uplift, to fill, to surround yourself with love and love will multiply, ripple outward, and benefit all. I, Mother Mary, am pleased to assist you in this new beginning of treating yourself with radical self care and love, empowering you to play a greater role in service, in leadership, in your light work, which can be made possible through a strong foundation of love and self care. You are ready, you are so supported. The energy is in alignment. Love is within and all around. Breathe in the love and as you breathe out, feel love flowing throughout your entire body; healing and nurturing your entire being, uplifting you further so that you are able to overflow love unto others, being a beacon of Divine love, of service, of compassion wherever you go, which serves all and which brings so many more benefits into your own life. Embark now with self love and care to tune in to the infinite supply of Divine blessing available for you in this powerful time. Open your heart and let love be your guide. Continue forward for all is well and you are supported, cleansed, purified, empowered mentally, emotionally, spiritually, and physically through the power of love, forgiveness for what has been, and compassion for what will be. Love for all serves tremendously. Continue now forward with love in your heart and mind. I, Mother Mary, leave you with a blessing of Divine love from my heart to yours. Receive, breathe, and pass this love on to create a ripple of love throughout reality, throughout all paradigms, infusing all possibility with Divine love, with nurturing, with compassion, and with blessing. I love you. You are so loved. Goodbye for now. Love is the best medicine for the heart and for heart healing. To continue this process, you can access a free love meditation by clicking here. I love the heart healing meditation by the Blessed Mother. You’re meditations have helped me tremendously over this past year. Thank you so much for all you do. God bless you. Pls mother angels heal my right leg the upper tight is tender and has a tingling burning feeling at time bless me and heal my body. Amen and thanks. Greetings. I enjoyed the message from Mother Mary. Things are improving in my life and I do appreciate all that you are doing to make this possible for me. I am putting to practice everything that I am learning from these messages and I am experiencing peace, comport and love in every sphere of my life. Keep up the good work. You are really making a difference in the lives of persons around the world. Thanks for channeling, it is amazing and it being awesome to hear the messages. You and they are my company many hours a couple of days a week. Keep being blessed. Thank you for this! I felt so much love and there is no better way to begin a day with the warmth of love. I really enjoyed this. It touched my heart in a positive way. I pray to Mother Mary a lot and she prays with me. Beatifull!! gOdd bless you!!! Mother Mary thanks for you help!!! Magnificant meditation make me feel healthy and lovely!! in pace I love you world!!! I accept my new beggining in this moment!! When the sudden darkness attack, and negative energies latch on I call to connect…ask for help, and its always granted. I’m always led back to my angelic light, and love withIn. With clarity to open my heart allow love in, and spread love in return effortlessly, and with ease. Thank you. I enjoy your meditations so much but this one feels so incredibly special. 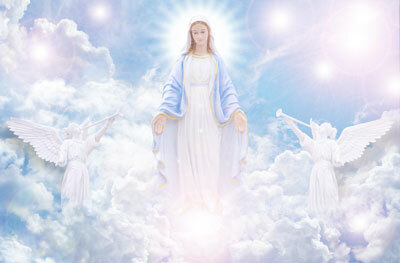 I hope you will channel more messages from Mother Mary in the near future! PLEASE do! Thankyou Melanie I so needed that. I feel stronger and a little more emotionally balanced much love. Thank you, Mother Mary and Melanie, for this amazing gift. Lovely words of kindness ! Beautifully spoken ! Makes me feel really relaxed ! Thank you Melanie and God Bless.